These are the words of British actor Colin Firth, who believes more celebrities should use their stardom to highlight good causes. At Look To The Stars, we believe it is important to highlight the work that celebrities carry out to support charities and good causes. It is all too easy to be cynical and think to yourself that the stars only use their so called “good work” to bolster public opinion and their own fame, but the more you dive into the topic, the more you find that this just is not true. Firth is a perfect example of someone who, in his own words, “puts my money where my mouth is” and prefers to get involved with issues he believes are worthwhile. struck writer Jamie Bennett in Love Actually, female movie-goers fall over themselves to look up into his smoldering eyes. But Firth is not the kind of actor who is scared to get his hands dirty out in the real world. A passionate supporter of Oxfam and its Make Trade Fair initiative, Firth has both feet planted firmly on the ground. Firth, who divides his time between London and Italy, is also extremely vocal in his support of Amnesty International. Early in 2007, the actor intervened in the deportation of a Congolese nurse from Britain. Firth, whose mother is the president of an asylum-seekers support group, firmly believes that people should not be deported from a country if there is a strong chance they will be murdered when they reach their destination. Along with his wife, Livia, Firth also produced a film called “In Prison My Whole Life” to highlight the plight of prisoners on death row in America. Firth is a supporter of Survival International, and in 2003 openly condemned the Botswana government for evicting Gana and Gwi bushmen from the Central Kalahari Game Reserve. In 2006, Firth won the title of Campaigner of the Year, an honor voted by the senior editors of The Economist and advisors drawn from the European Union community. The award was primarily for the work Firth has done with Oxfam’s Make Trade Fair campaign, in which the actor engaged in meetings with politicians from all around the world, including the head of the World Trade Organization. His involvement in the initiative led the star to found Café Progreso, a chain of fair trade co-operative cafes in London. Profits from the sale of coffee in the cafes are shared directly with farmers in coffee growing regions. “The failure so far of the governments of so many of the world’s most powerful countries, in the face of such egregious unfairness, to make the slightest progress on the issue of fair trade is hard to explain,” said the actor, who also lobbied against Starbucks on behalf of Ethiopian coffee farmers to own the trademarks of their own specialty coffees. Café Progreso has now led Firth to open Eco Age, an eco-friendly shop in Chiswick, London. The store, lit and heated by sunlight, is fully self-sustainable and offers shoppers the chance to buy commodities that are completely environmentally friendly. Firth’s three-storey shop offers a huge array of eco items, ranging from a bamboo computer to recycled pencils, solar mobile phone and MP3 chargers, natural paint and wallpaper, environmental kitchen appliances, Estonian Christmas decorations, and coat hangers recycled from old chairs. The venture sits well alongside Firth’s other work, which includes being patron of Out Of The Blue, a theatre that provides the opportunity for disabled and non-disabled young people in the south of England to perform onstage together. 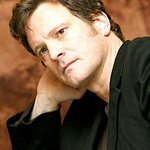 But although he occupies himself with philanthropic work, Firth still worries the public may soon suffer from what he calls “celebrity aid work fatigue”. Colin Firth’s next movie, “St. Trinian’s”, will be released in England on December 21.